Ian, General Manager at MINI Ottawa, giving us a quick run through of some of the new upgrades available on the new Countryman. In Island blue with a Chestnut interior this stunning unit is sure to go quick. 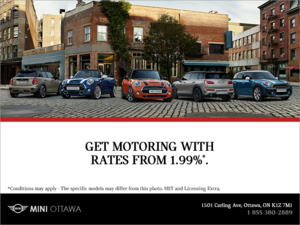 Be sure to stop by 1501 Carling ave to take a look at one of our many 2017 Countrymans! !